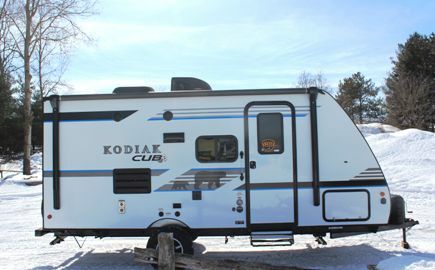 Whether you are new to RV camping, or a seasoned Weekend Warrior, the all new Kodiak Cub is a versatile RV to get you going with your camping lifestyle. The Kodiak Cub is a feature rich single axle RV designed to accommodate smaller tow vehicles. Combining all the conveniences, styles, and craftsmanship of the Kodiak line, with the compact and light weight floor plan options, makes the Kodiak Cub an easy choice for your next RV.